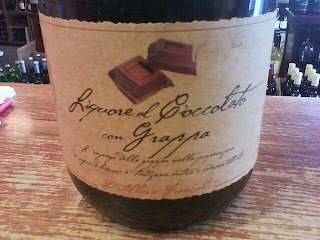 A couple of months back I heard rumors about a chocolate grappa arriving on the Irish market. 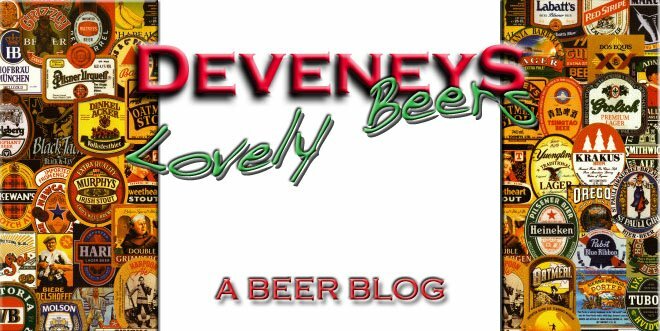 In true Deveney style I harassed the company in question till Fergal called last week and had a case with my name on it. It has the consistancy of a traditional hot chocolate, thick, heavy, creamy and syrupy. The palate is so smooth, the chocolate is a good balance between milk and dark and theres not much to this other than it feels like melted good quality chocolate with a slight alcoholic kick. I don't think a chocolate liqueur could get any better than this. I was trying to think how best to serve it and you've loads of options, ideally in a big cognac glass by the fire in winter, you could have it on the rocks or mix with a good quality Vodka and shaken over ice with a drop of cream and garnished with chocolate shavings. It would be really nice over Ice-cream or strawberries, I could probably go on and on with suggestions!! !